A damp, cool Autumnal Monday morning at L'Atelier de Chefs and a brilliant baking workshop in aid of Breakthrough Breast Cancer's Great Pink Bake Off was in full swing. Food mixers whirled with clouds of pink Italian Buttercream, kilograms upon kilograms of delicious Valrhona chocolate melted on the hob and muffin-doughnut hybrids were being dipped in large vats of sticky caster sugar. Directing us motley crew of food bloggers and writers was Bea Vo. 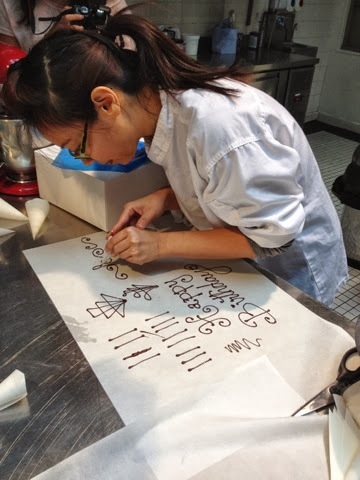 Fresh from hitting the headlines in the latest fusion-food naming row, Bea is an ex- Nobu Pastry Chef, cookbook writer and director of bakery chain 'Bea's of Bloomsbury'. 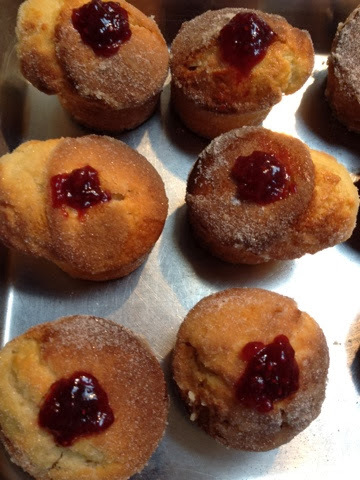 And more recently Bea is famous for her David vs Goliath battle against a major international coffee chain over the use and trademark of the muffin- doughnut hybrid the 'Duffin'. Having read at length the media coverage (favourite headline courtesy of The Independent: 'Huffin and Puffin about the Duffin') I was keen to see eat what all the fuss was all about. Bea taught us to bake the Duffin... And I TOTALLY get it. It's a genius combination! Spiced with nutmeg, with a centre of squidgy juicy raspberry jam and dipped in sweet sugar. Lovely. 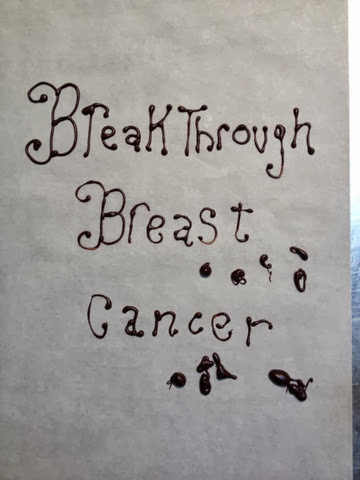 While the Duffins baked, the team from Breakthrough talked us through the vital work they fund. Every year, 50,000 women are diagnosed with breast cancer. 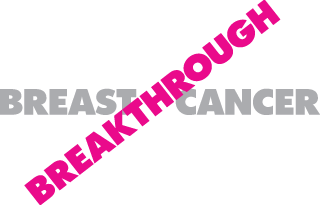 Breakthrough Breast Cancer funds almost 25 per cent of the UK's breast cancer research. To continue this life saving work, Breakthrough need our help. During Breast Cancer Awareness Month, on 18 October 2013, an army of bakers will hold their own Great Pink Bake Off in aid of Breakthrough Breast Cancer. 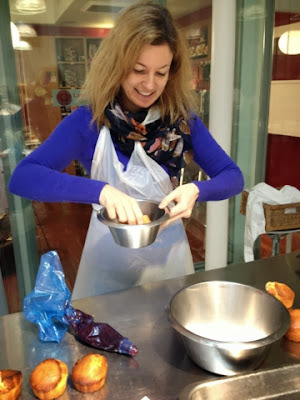 It's so simple to hold your own Bake Off, be it at home, work or school, to raise lots of valuable 'dough'. Pop along to the Great Pink Bake Off website to download a full fundraising pack. There are even a whole range of exciting competition prizes to be won.